Well, it’s got nothing to do with video games – or airports. A virtual terminal is actually a simple, affordable way of taking payments over the phone. Neither your customer – nor their card – needs to be present. You just log in to a secure webpage, enter the customer’s card details, and voila. You don’t even need a website – all you’ll need is a computer with an internet connection, and a merchant account to capture the funds. Sound easy? It is! What’s less easy is choosing the right virtual terminal for your business. There are just so many providers in the UK, and all of them want your custom. But which one is cheapest? Which is the most secure? And which virtual terminal is the best for small businesses? We’re here to answer all these questions and more. Get stuck into our expert reviews of the best virtual terminals in the UK, for small businesses and beyond. You can also start by cluing up with our FAQs, or dive into our short webform to get tailored quotes. We looked at the range of payment providers on the market to find the best – and cheapest – virtual terminals for UK businesses. The best virtual terminals come from Worldpay, Sage Pay, PayVector, Web Merchant Services, and Square. With over 300,000 customers in the UK, Worldpay knows what it’s doing when it comes to quick, simple ways of taking card payments. Its virtual terminal is available for a tenner a month, and brings ease and versatility to your business. Worldpay also comes with some pretty pleasant perks, too: think 24/7 support, real-time reporting, and advanced fraud protection tools. And you don’t even need to be tech-savvy to use it – just log in, get paid, and have yourself a cup of tea. For detailed reporting and analytics about your transactions, you just can’t look past Sage Pay. Its cloud-based portal lets you check in on your cash flow, and quickly create reports to guide the direction of your business. Plus, its virtual terminal offers in-built fraud protection to safeguard your data. Add 24/7 phone, email, and Twitter support, and Sage Pay is a slick, scalable solution for your SME. Put simply, PayVector is best for… simplicity! That’s because its virtual terminal comes as part of a package that also contains a payment gateway and a PayByLink feature. This makes PayVector a handy, all-in-one payment provider for your business. And it’s not just easier for you – your customers also get a greater range of quicker, easier ways to pay. Intuitive reporting and scheduling features are also included as standard. The end result? A powerful virtual terminal solution for your small business. Looking for a no-nonsense, no-frills way of taking payments over the phone? With Web Merchant Services, what you see is very much what you get. But that doesn’t mean it’s short of innovation – after all, it was the first company to develop the virtual terminal as a payment method. It’s also been around for more than two decades, so it’s fair to say it has a good idea of what makes UK businesses tick. There’s a range of plans to cater to your business size and industry, and a technical support team on hand 24 hours a day. What’s not to like? With a simple, clean design and a ‘minimal fuss’ approach, Square’s virtual terminal is a lot like the shape it’s named after. It’s easy to set up, easy to use, and there’s no monthly fee, with impressively competitive transaction rates. Plus, it’s easier to save – and charge – returning customers through Square’s intuitive dashboard. It also offers 24/7 support, and a savvy card reader for taking payments at the point of sale. We reckon this makes Square a strong selection for small businesses. So… what’s next? Well, it depends on where you’re at in your journey towards accepting card payments. To read more about virtual terminals, scroll on for our FAQs. Or if you’re eager to learn more about the costs side of things, get started now with our short webform. We’ll ask a couple of questions about how you want to accept cards, the size of your business, and what industry you’re in. Then, we’ll match you with top virtual terminal suppliers, and you decide which one’s right for you. Oh, and it’s free! A virtual terminal lets your business take payments over the phone, without the need for a separate phone line – or any specialist equipment. It’s a secure webpage that you log into to enter your customer’s credit or debit card details. There’s usually no software to download, meaning you can access it from anywhere. 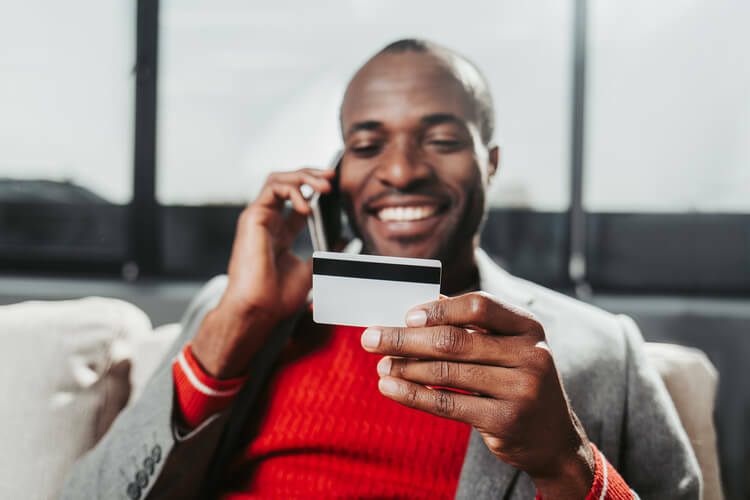 A virtual terminal acts as a kind of ‘credit card reader’, allowing businesses to process payments over the phone, in-store, and through mail order transactions. Virtual terminals accept payments called MOTO (Mail Order/Telephone Order) transactions. You can take MOTO payments over the phone or through the mail (that includes fax, email, and the postal service). Do I need a merchant account to use a virtual terminal? Yep – you do. To start using a virtual terminal to take MOTO payments, you’ll need a merchant account. Virtual terminals usually come as part of a package offered by a merchant account provider, which is convenient. So what does a merchant account actually do? Well, it basically serves as a kind of holding pen for the funds you receive, before they’re sent to your business bank account. Every UK business needs a merchant account in order to accept contactless and chip and pin transactions. When you take a MOTO payment with your virtual terminal, it goes through a payment gateway. This authenticates the transaction, moving your customer’s money to your merchant account. When the funds clear, ka-ching – you’ll see the cash in your business account. Who are virtual terminals suitable for? Virtual terminals are suited for all business that sell stuff. Which… is all businesses! If you run a restaurant, you can use a virtual terminal to accept deposits on tables, or advance payments on big bar tabs. And if you’re in retail, you can sell your latest stock over the phone – in the time it takes to make a cup of tea. Virtual terminals are, by their very nature, very well-suited for mobile businesses. Why? Because you can sell without a bricks and mortar premises – and without any cash having to physically change hands. Virtual terminals are also ideal for businesses that don’t deal with large volumes of payments. Most providers offer virtual terminals as a ’pay as you go’ service. Which means you can use them to take phone payments on an ad hoc basis – rather than getting weighed down by monthly fees.